Hi everyone! I bet like me, you too have struggled with quite a few challenges in the journey towards incorporating Paleo Diet into your lifestyle. I guess everyone will agree that embracing the Paleo Diet is not exactly a walk in the park. But I’d like to point out that while it can be tough, it’s not exactly impossible or too difficult either. Wherever you are in your Paleo Diet journey, you will come to realize that the world we are living in and most of the people we interact with are non-Paleo. It is something we all have to live with. So how do you survive and stay on course in a non-Paleo world? Here are some tips and insights I would like to share with you, in the hopes that it will make the transition easier for you. During my first few weeks of following the Paleo diet, I felt and looked great. Everyone started noticing some subtle changes. It’s like I have found a secret elixir of youth or something and like many, I was eager to share it with everyone, especially to the people I care most about. We all want our loved ones to be healthy, right? But here’s a reality check: Eating is quite similar to religion and politics that everyone have certain allegiance with. Convincing a person to drastically change his/her eating habits can be quite tricky. So instead of going down that route, I would suggest that you simply allow them to watch your transformation and let them derive inspiration from it. To put it succinctly, be a walking testimonial. When eating and sharing a meal with other people, it is expected that you eat the same food. Here lies a challenge. Most of the people you probably know eat a lot of food that you don’t eat. But it doesn’t really have to be overly complicated. Eating vegetables and protein, which are staples in Paleo Diet, are not exactly strange. Nor does eating avocado or choosing an apple, or drizzling a few drops of olive oil on your own salad. Being in a Paleo diet eater doesn’t mean you need to be singled out as someone with special diet needs. 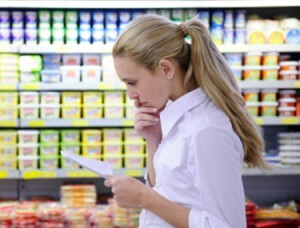 You simply need to stick to making smarter food choices without becoming overly elaborate about the whole thing. When attending parties, it is not impossible to steer clear from eating cakes and pastries. It is just a matter of making that firm decision of saying those food are not for you. One of the most difficult challenges of embracing Paleo diet is giving up grains and processed carbs. Some people live on pasta alone. Noodles are practically treated like some sort of religion in New York and I know more than a handful of individuals who feast on rice. In the real world, these starches are found in majority of the dishes prepared and fed to the general population, no matter where you are in the world. Improvisation is the key here. While you cannot cave in and indulge in any of those processed carb-laden dishes, you can enjoy a perfectly good squash spaghetti recipe that taste just as good, if not better. A few clicks online will take you to some of the delectable Paleo dishes that makes the healthy transition taste more like a reward than a sacrifice. In the previous articles, I have featured Easy Paleo Diet Breakfast Recipes that can be quite a joy to wake up to. What I am saying here is that, Paleo diet doesn’t have to feel overly restrictive if you learn to improvise. Whether you are personally preparing the menu or eating out with a non-Paleo eater, it can be quite a challenge to strike a compromise in the choice of food. My suggestion is to structure meals around protein, vegetables and a starch. This way, you can still share the same meal by simply skipping on the starch and loading up more on vegetables and protein. I live in a major food town, which is practically teeming with sumptuous dishes and first class restaurants cropping up left and right. 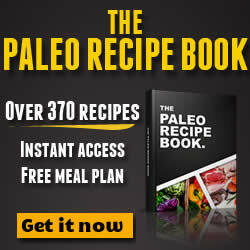 If you are like me who loves to eat out, sticking to a Paleo Diet is easier than one would expect. Most restaurants serve fish and seafood dishes, most of which are often serve with a starch dish. You can either ask the waiter to leave it out or simply ignore it. It is also a good idea to always keep some homemade vinaigrette on hand so you can easily whip up a vegetable salad when you’re hungry or craving for some snacks. Making healthier and smarter food choices can be challenging but for anyone who have taken the time to read my article, “Is The Paleo Diet Healthy?” would readily recognize that the rewards far outweigh the sacrifices. 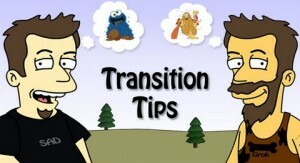 Yes, transition can be slow and for some, a painful progress. But believe me, it is well worth it.